I have been collecting and drawing panels for this zine for a while now. I finally got enough to put it together! 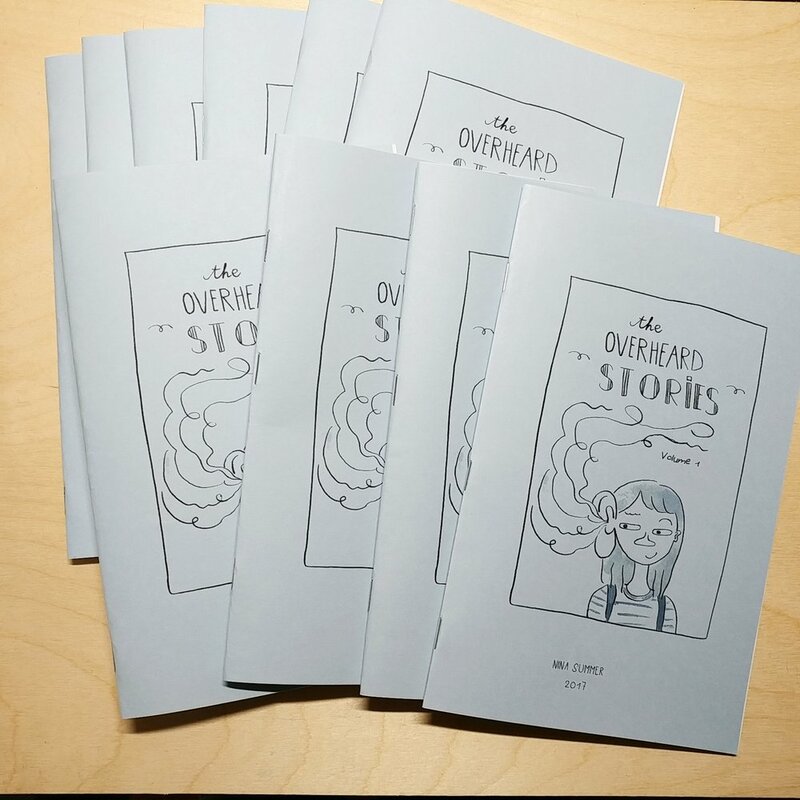 The "Overheard Stories" is a collection of snippets of (unedited!) conversation I hear on the streets of this crazy city. This zine has 16 original drawings, done in ink and watercolor washes. I am collecting material for the second volume. See some of the panels below. It took quite a bit of work for me to figure out the printing layout, margins, cutting and binding, but I got it together in the end! I printed it, cut it and bound it in my home studio, with (some moral) support from my cats. The impetus to finally finish the zine, after months of drawing for it, was that I was prepping for a few holiday markets in December. I took the zine with me, and it was cool to see people read it. Some pics from the markets at Automatic Studios, City of Saints and Frim Fram over the holiday season, with cameos by the usual gang!